Simply click on one of the two panels below to locate the product(s) to suit your immediate needs. We strongly value our online customers and have invested in systems designed to make your online shopping experience as pleasant, secure and efficient as possible. In the event of temporary accessibility problems, do not hesitate to make contact by phone, email or fax. We offer an extremely comprehensive range of BLANK LABELS on A4 SHEETS. 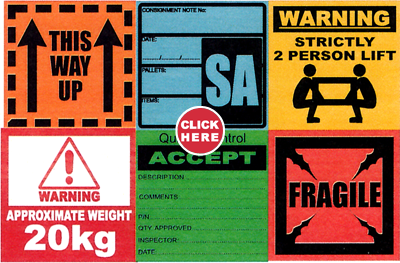 Construct your labeling requirements from a large selection of sizes, shapes, materials, colours, & adhesive grades. Our client base includes individuals, small businesses, multi-national companies, & State & Commonwealth Government departments. SIMPLY CLICK ON THE APPROPRIATE BOX ABOVE. At Labels on Sheets, we’re committed to supplying industries and individuals across Australia with a large range of top-quality, blank labels for printing whatever you choose. Our extremely comprehensive range ensures that we have you covered, no matter what your requirements. Whether you’re looking for a complete label selection for your individual needs, small business, multi-national company or even State, Commonwealth and Government departments, we keep things simple. We refuse to compromise on quality and service, which is why our customers choose Labels on Sheets time and time again. Why Choose Blank Labels for Printing at Home or Work? When you opt for A4 blank labels from us, you’re making a smart financial decision. Why spend huge amounts of money on commercially-printed labels, when you can purchase your own blank labels and completely customise them yourself? If you have a printer, we’ll provide the labels. Across our website, you’ll find tips for choosing the best labels and printing templates, so you can feel confident when you order from us. At a high quality and low cost, there’s no better way to ensure you have the labels to suit your requirements. Ensure a perfect result every time, whether you’re searching for blank labels or off-the-shelf industry labels. Our team has been in the production of A4 sheet labels for years, so we guarantee an unparalleled quality and service. Ordering the A4 blank labels for printing text and designs couldn’t be easier. We provide a streamlined approach for all of our online customers, so you can have the label sheets you need at your door rapidly. To make a purchase, simply browse our vast selection of label shapes, sizes, materials, colours and adhesives. Let us know if you require laser label sheets or laser and inkjet label sheets, so you can get to work on the printing process. We make it our mission to dispatch your order within 1-2 days of receiving it. We understand that time is money, and your business suffers when you have to wait around for supplies. 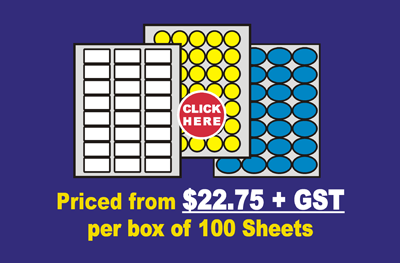 Order laser label sheets or inkjet label sheets from us for extremely competitive prices and rapid delivery.